I love me some lentils. I don’t think I had ever even eaten lentils until I was in college and discovered that I liked the vegetarian version of my dorm cafeteria’s shepherd’s pie more than the meat version. Lentils are super hearty and I hear they are good for you too. Bonus! 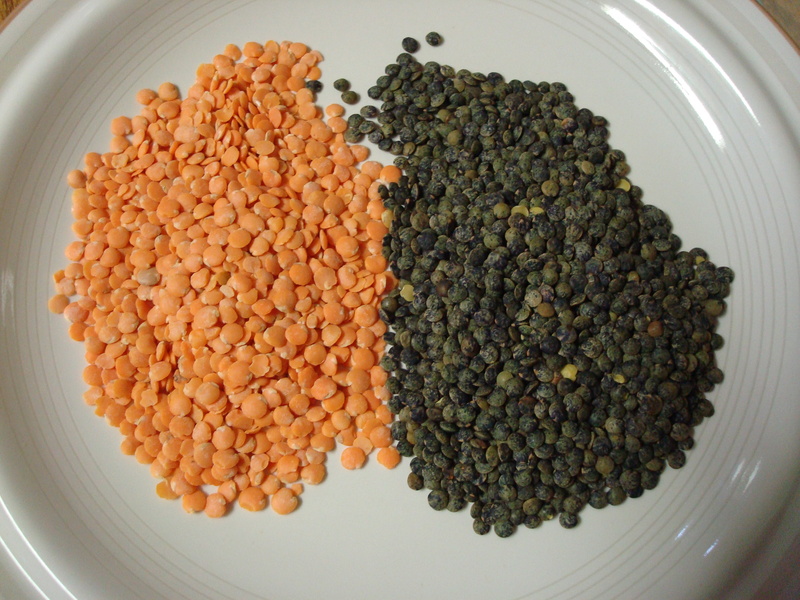 I’ve done a bit of experimenting with brown and red lentils and recently bought some French lentils which are green in color. I don’t discriminate against lentils based on color. They’re all equally good in my eyes. My friend made tacos out of lentils. Tacos! Who doesn’t like tacos?? 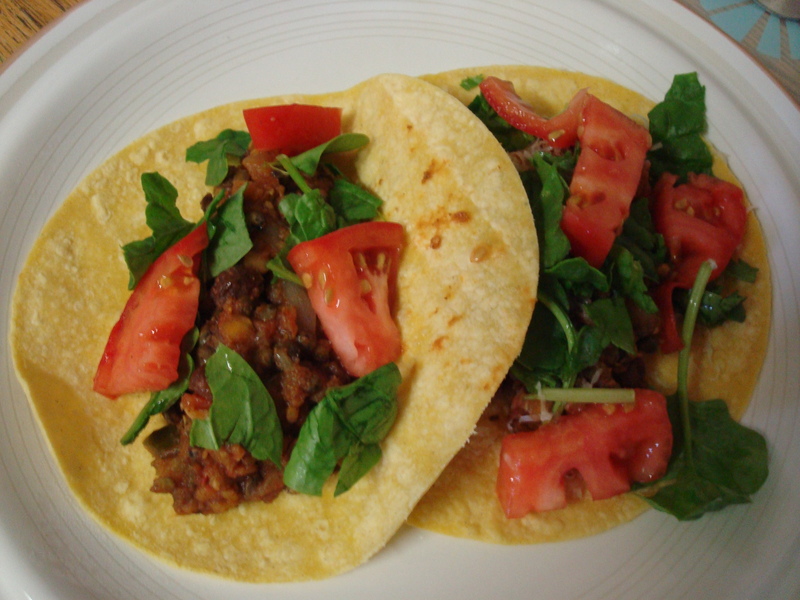 The lentil tacos were so full of flavor and so hearty that I definitely didn’t regret the fact that they were meatless. In fact, I celebrated that they were meatless. Even though I love things like bacon and a nice roasted chicken I rarely prepare meat at home so I have a decent repertoire of vegetarian main dishes and this recipe will no doubt be added to it. I suggest you do the same! Apologies for the sparse posts lately. I am in the midst of moving and thus not cooking/baking so much these days since all of my stuff is in boxes and my fridge looks like a total bachelor’s with nothing much apart from condiments in it. But I will be settled into my new place soon and promise to return to more regular posts in the very near future! In a large frying pan over medium heat, sautée onions, celery, and garlic in the olive oil for five minutes or until vegetables are soft. Stir in the lentils, chili powder, cumin, and oregano. Cook for one minute. Add the broth and raisins. Cover and cook for 20 minutes, or until the lentils are tender (add more water or broth as needed). 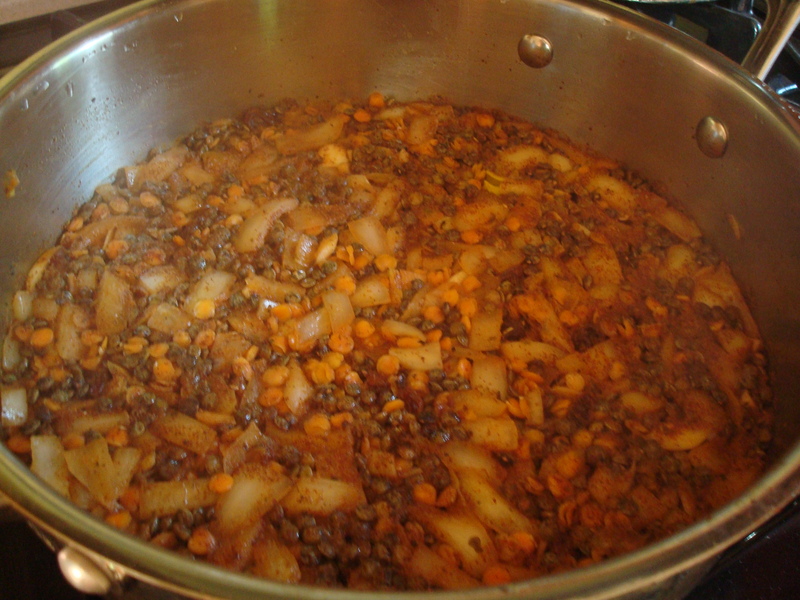 Remove the lid and cook an additional 10 minutes (until lentils are thick), stirring often. Fold in the salsa. Wrap the tortillas in a damp white cotton towel and microwave on high for one minute. Spoon the lentil mixture among the tortillas. Top with lettuce, tomatoes, and cheese. Love this recipe, similar to mine but your addition of the red lentils! Terrific, and I love the currants…good twist. Instead of dairy cheese, I recommend my cashew cheese recipe or just a simple tablespoon of nutritional yeast. Yum! This is way better than a brick & mortar establshmient. Oh, I can’t wait to try this! Shayne’s daughter is a vegetarian so I’m always looking for something new to make that isn’t pasta!